Jammu and Kashmir Police on Friday said that two persons have been arrested and a third one has been identified in connection with the lynching of DSP Ayub Pandith outside Srinagar's Jamia Masjid. Mohammad Ayub Pandith, who was posted outside the mosque, was stripped naked and stoned to death early on Friday near Nowhatta. Speaking to ANI, Jammu and Kashmir DGP SP Vaid said, "Logon ko samajhna chahiye achha kya hai bura kya hai. Jo unki hifazat ke liye wahan duty kar raha tha use hi lynch kar diya (People must understand the difference between right and wrong. They lynched the person who was posted there to protect them)." Meanwhile, chief minister Mehbooba Mufti on Friday expressed grief over Pandith's death. "Isse bada sharmnaak vakya koi ho nahin sakta (Nothing compares to this shameless act)," the chief minister was quoted as saying by ANI. Mehbooba lauded the Jammu and Kashmir Police and their efforts in the Valley and said that the state police is extremely courageous but they are exercising a lot of restraint when it comes to the locals because they treat Kashmiris as their own. 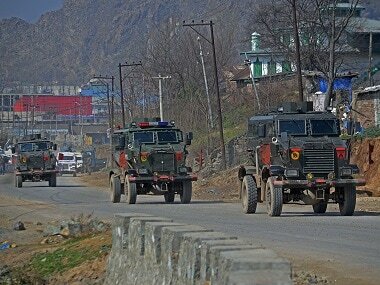 Mehbooba, however, warned that the day the police loses patience it will be difficult to control them. "The DSP was at the mosque doing his duty, this was a shameless act," Mehbooba said. Pandith was on duty when the mob attacked him. DGP SP Vaid termed the killing as sad and unfortunate. "The official was killed by the mob while he was performing his duties. It's a very sad and unfortunate incident," the DGP said. Earlier police sources had said that Pandith was seen moving around by people near Jamia Masjid in Nowhatta area in the early hours of Friday. 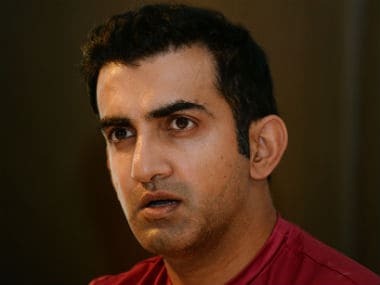 A ground report by Firstpost's Sameer Yasir said that the plainclothesmen, according to eyewitnesses, were confronted by an irate mob as they "failed to explain their presence" near the mosque premises. Policemen posted in the security wing of the Kashmir Police do not wear uniform as a matter of service regulation. This led to an argument between the police and the crowd. While one policeman fled the spot, another was captured by the group. The Jammu and Kashmir Police said deputy superintendent of police Mohammad Ayub Pandith, a resident of Khanyar Nowpara area of Srinagar, four kilometres from the place of the incident, was posted on security duty outside the mosque, when he was attacked. His service revolver was taken away from him. "The man took his pistol out and opened fire injuring three people. He was overpowered by the mob, stripped, and beaten to death," a resident of Nowhatta area told Firstpost. Pandith's body was taken to police control room for identification and other legal procedures, they said adding the situation in old city has turned tense following the incident. The mob went on a rampage targeting empty security pickets erected in the area, PTI reported. Police reinforcement were rushed in to restore normalcy in the area. Muslims across Kashmir are observing Shab-e-Qadr (the night of power) with night-long prayers and supplications being made inside the mosques and shrines of the Valley. Senior ministers Naeem Akhtar, Altaf Bukhari and Haq Khan were also present at the Police Lines besides senior civil, police and paramilitary officers. Pandith was posted in the security wing of the police and deployed for frisking visitors to the mosque to ensure nobody entered it with weapons. As part of rules, policemen posted in the security wing do not wear uniform. 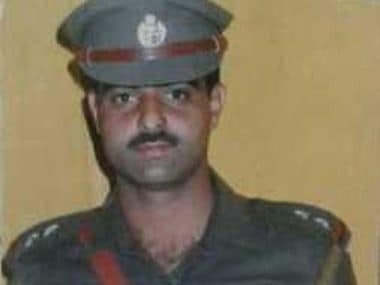 The death of the officer, who was not deployed in anti-militancy or intelligence gathering, has shocked the Jammu and Kashmir Police. A grim DGP SP Vaid told reporters: "An officer being lynched by the very people he had gone to protect proves we have reached a stage where very little difference is left between humanity and barbarism." 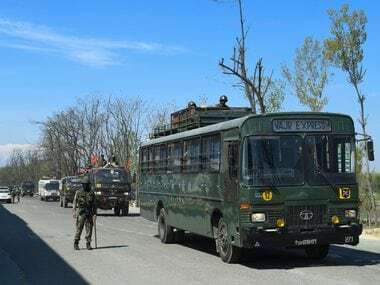 In an unrelated development, authorities imposed restrictions in some areas of Srinagar on Friday after separatists announced post prayer protests in the Kashmir Valley. The curbs under Section 144 preventing the gathering of five or more people at any place were imposed in areas falling under the jurisdiction of Khanyar, Nowhatta, M.R. Gunj, Safakadal and Maisuma police stations, a police officer said. The separatists have called for protests after the Friday prayers against the killing of a civilian, Touseef Ahmad Wani, in Pulwama district in firing by security forces on Thursday. Wani was killed when a mob attacked the Kakapora police post on Thursday after three Lashkar-e-Taiba militants were killed in the area by the security forces. 23 June is the last Friday of the holy Muslim month of Ramadan. 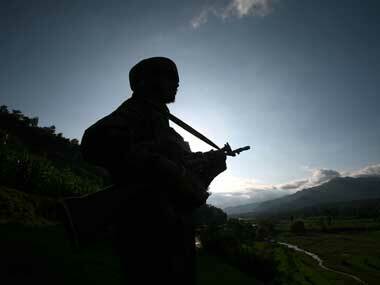 Large gatherings are expected in various mosques in the Kashmir Valley on Friday.